After a solid hour, we got Bart's new phone hooked up to the blog. 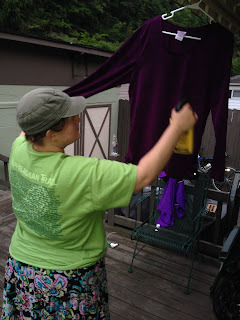 Here is a delightful picture of Jo permethrinizing her purple wardrobe. Now we leave in about 4 hours.